We provide best services in the world. Welcome to the Woodlands Wholesale Nursery web page. 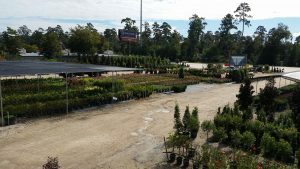 We are a wholesale nursery committed to supplying quality plant material at competitive prices to all of Conroe, The Woodlands and the Magnolia area. We welcome all landscape professionals and the general public. We offer a large selection of trees and shrubs, our selection of potted plants range from 1 gallon to 200 gallons. Our excellent staff team is driven by the desire to work with you hand in hand so that we can become your number one choice in plant material needs. Here at Woodlands Wholesale Nursery we believe in quality first. Our experienced staff strives to make continuous improvements to provide our clients with top-notch customer service and better satisfy all their landscaping needs. Our expanded product line consists of more than 300 varieties of plants, trees, roses and shrubs. We can provide what you need when you need it. Our team is composed of many cumulative years of experience, which allow us to prepare accordingly to foreseen and unforeseen weather events which have proven vital to our success.